A White Elephant Exchange by any other name is a Yankee Swap just the same. Whatever you call it, this fun holiday gift exchange will soon be taking place at a social gathering or office holiday party near you. The idea is simple and entertaining: everyone shows up with a wrapped gift, numbers are drawn to determine the gift opening order, and then the unwrapping and swapping begins! We have compiled a list of gifts we think are real keepers and others we would be happy to exchange. Keep: I have fond memories of wearing leg warmers back in the 80’s so I was really happy to see them back in fashion. A button down pair is festive for the holidays and would make a nice addition to my winter wardrobe. Neat knee-high knitwear is always a keep for me. Swap: I have amassed an array of cool gum packages and mint tins over the years. Some are funny while others are downright risqué. 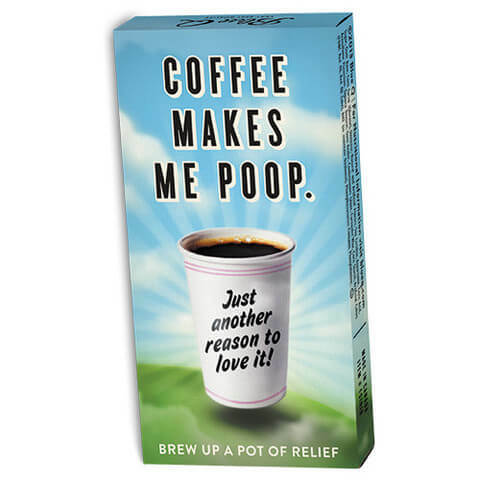 However, something about the Coffee Makes Me Poop Gum leaves me feeling not so cinna-minty fresh…even if it is true. 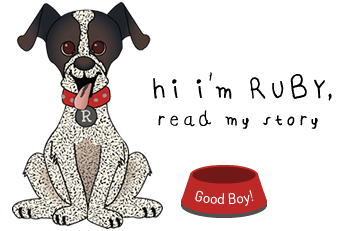 Keep: As I explained in my Awesome Gifts for Animals post, squirrels irritate me. They taunt and tease me, and then snicker because they can run faster than me. 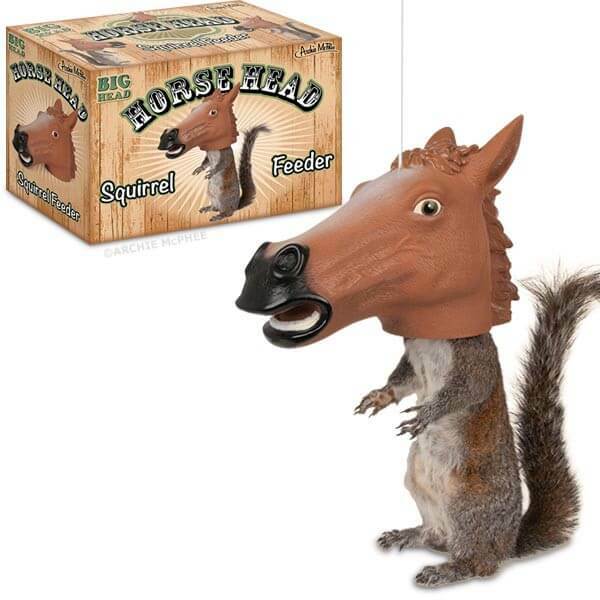 Enter the horse head squirrel feeder. Who’s laughing now? I’m planning a sneak attack on the next silly squirrel I see wearing a horse head. Giddy up! Swap Keep: My mom likes me to wear scarves in the winter. Well, we actually wear matching scarves. It’s our thing. A human explained the rules of this game would require me to swap the scarf in order to keep the horse head squirrel feeder. 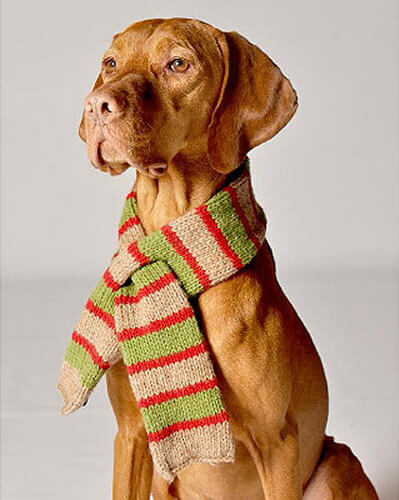 But I’m a dog, and I think the game is going like this…I leave the White Elephant party with both gifts and someone else goes home with a cold neck. Who wants to knit a matching one for my mom? 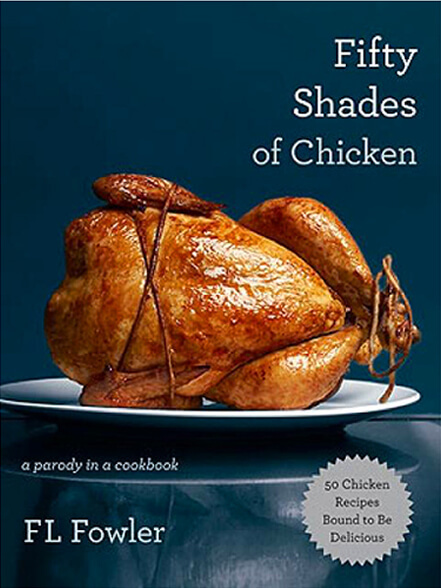 Keep: Fifty Shades of Chicken: A Parody in a Cookbook. This funny rendition of the popular book is sure to please. I don’t give a cluck what some people may say, I want a copy! Swap: Rock, paper, pizza scissors? 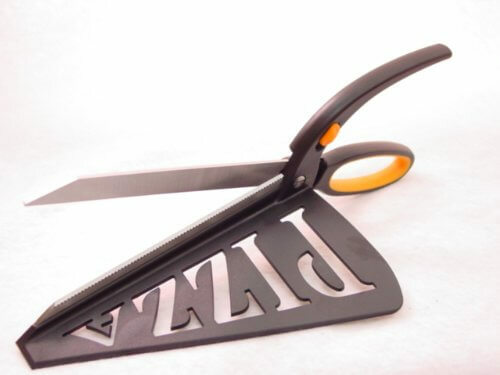 I just can’t see myself cutting pizza with scissors then serving it on the attached spatula. I think I will stick to the old-fashioned wheel cutter instead. 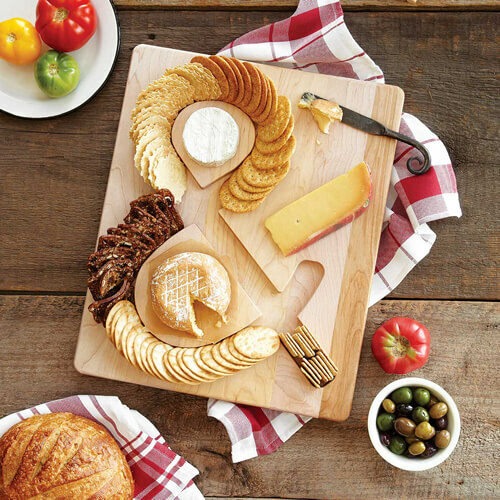 Keep: I have way too many different cheese and cracker serving options, but this Cheese & Crackers Serving Board is the best one ever! It is stylish, practical, and the literary nerd in me likes the ampersand. 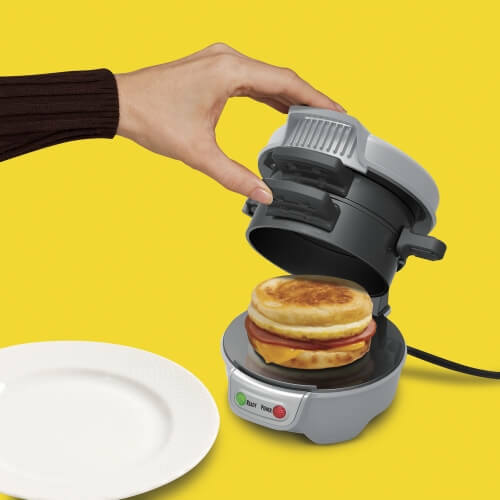 Swap: I bet that this Breakfast Sandwich Maker would be a hot item at many Yankee Swaps. Still, when I see it, all I think is that it would end up gathering dust somewhere once the novelty wears off. 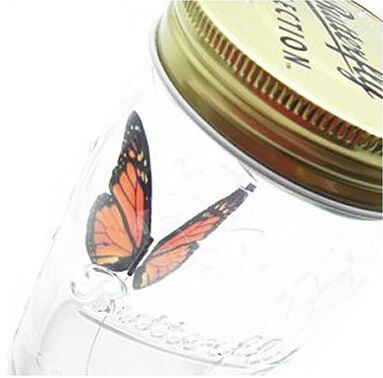 Keep: Jackson Galaxy on My Cat From Hell gave a butterfly in a jar to one of the cats on his show, so I know this must be good. I am also sure that I could get that butterfly. It would be delicious. 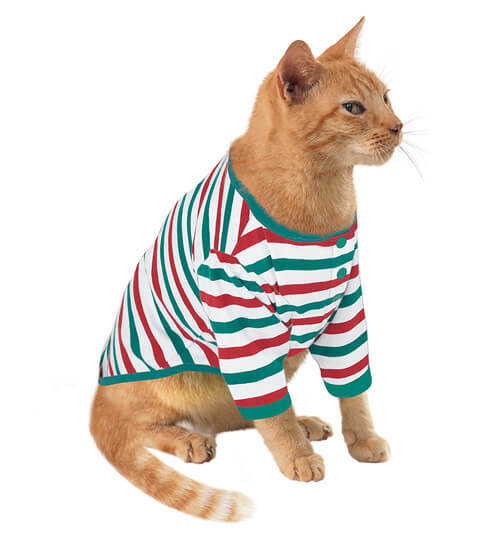 Swap: I would be very happy if my people got new flannel pajamas so that I could sit on their laps while they wear them, but I will NEVER wear these Holiday Stripe Pajamas for Cats. No way. SWAP! 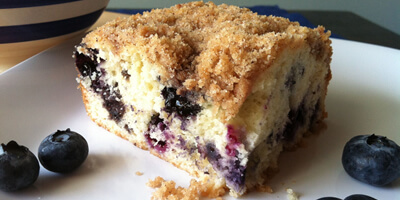 Keep: I like the idea of using a spoon rest when I’m cooking something on the stove but don’t like that it makes another dish that then has to be washed. 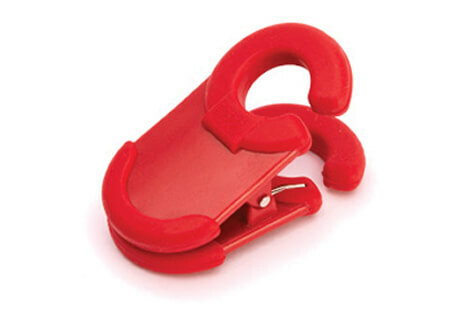 So I would certainly want to keep this handy little item. The Utensil Pot Clip from Good Cook clips to the side of your pot or pan and holds your spoon or spatula which means any drips go right back where they belong. Swap: I suppose the Super Magnetic Thinking Putty that “comes alive” near a powerful magnet might be interesting for a minute or two. But I see this very quickly becoming that thing in the back of the drawer that always gets in the way when you are looking for that thing that you really need to find. 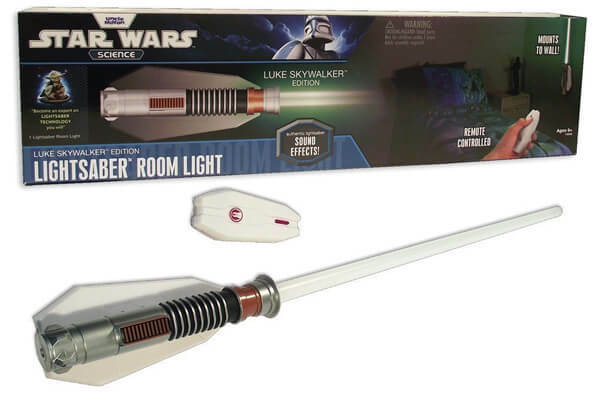 Keep: “You don’t know the power of the dark side.” Keep this Light Saber Lamp, you must. Swap: Get’er Done…when the brown won’t go down. 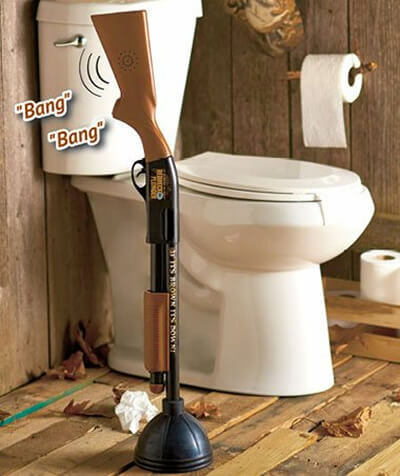 Pull the trigger and BANG BANG the Redneck Plunger will take care of it. Keep: I’m missing the kid gene. Whatever it is in humans that makes them want to have/talk about/be around children…I was absent the day it was handed out. 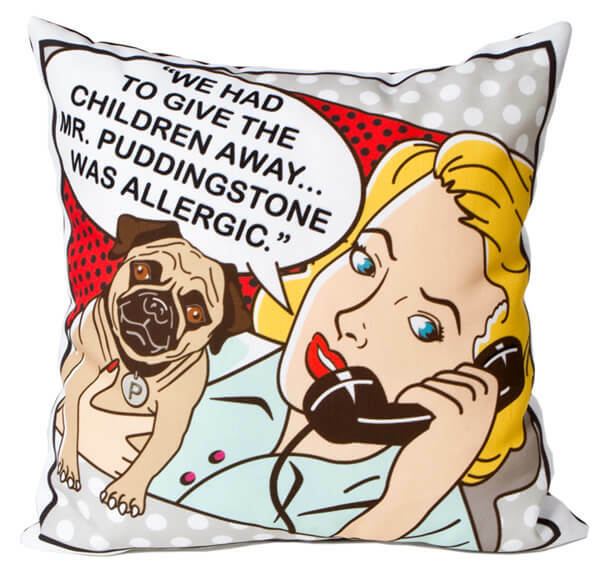 I was, however, first in line to receive the obsessed with dogs gene so this Mr Puddingstone Pillow is a definite keep! Swap: I’m a fan of sarcasm and irony, but this Yankee Swap Mug gets an eff for effort. You’ve gotta work a little harder than this to make my keep pile! Still need more inspiration? 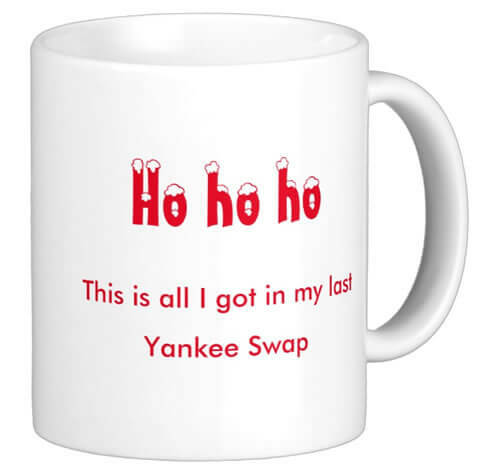 See what we kept and swapped in previous years and follow our Yankee Swap Pinterest Board! 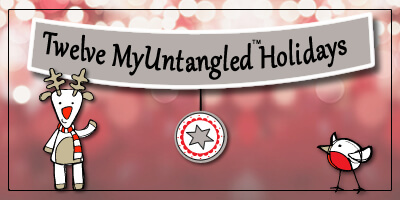 Follow MyUntangled Life’s Yankee Swap Board on Pinterest. PreviousLots and Lots of Latkes! After 12 long years in Database management, fundraising and special events, Joanne was ready to break out on her own and get a virtual party started. As Virtual Princess at MyUntangled Media she waves her wand for small businesses and non-profits that need a little magic to help them manage their day-to-day. 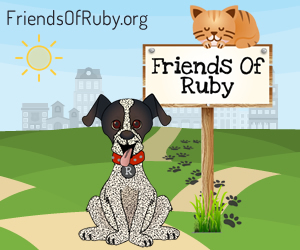 On most days, she is also quite accustomed to following the lead of her 4-legged son, Ruby, who encouraged her to start blogging and nurture her love of photography on the official MyUntangled Pinterest and Instagram pages! 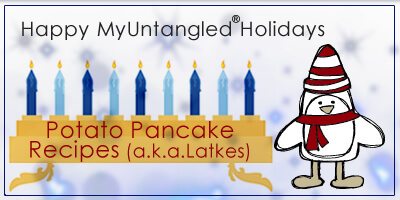 Lots and Lots of Latkes!